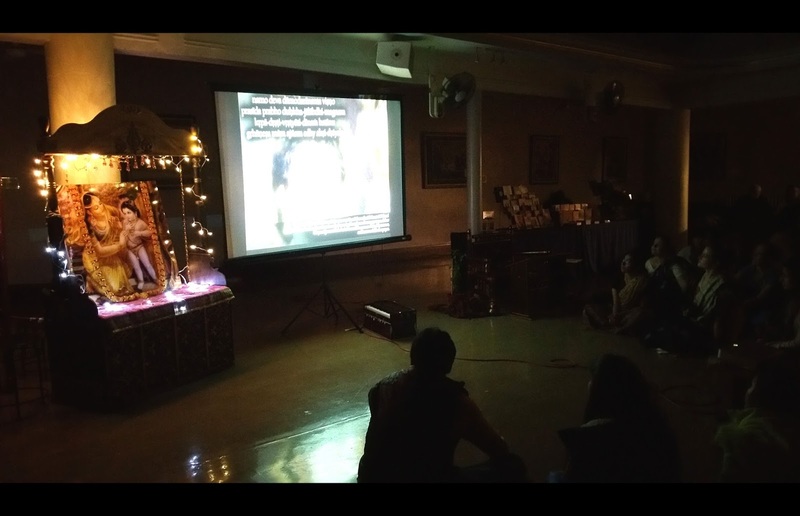 Pictures from Yesterday's Damodarastakam ~ The Toronto Hare Krishna Temple! During the auspicious month of Kartik, each Sunday Feast at the Hare Krishna Temple will be highlighted by the singing of the enchanting Damodarastakam prayers. Immediately after the 6pm and 8pm aratis, thw lights will be turned low and devotees will sing this beautiful bhajan together. 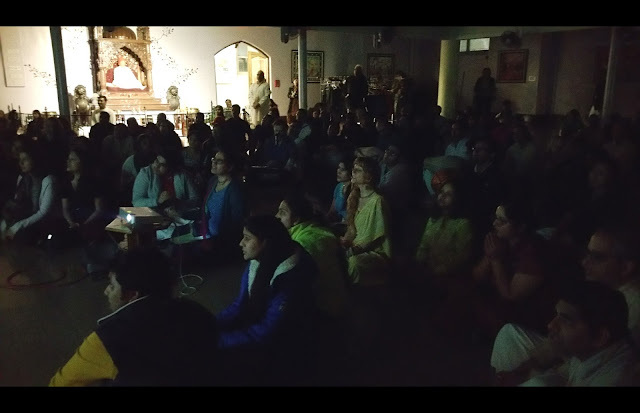 Here are two pictures from yesterday's singing after the 8pm arati!